WWD – The store is located on Via Gesù and is the first European unit for the company. Although the street is also dubbed the Via dell’Uomo, or “men’s street,” Browne emphasized that the flagship also displays the brand’s women’s ready-to-wear, which is growing. “I love that it carries both,” said the designer. Men’s wear today represents two-thirds of sales. Via Gesù is a few steps away from luxury shopping street Via Montenapoleone and is home to the Four Seasons Hotel and brands ranging from Caruso and Rubinacci to Brioni and Stefano Ricci. “I started from tailoring,” said Browne, emphasizing the brand’s fit with the street. The opening confirms a WWD report last month. 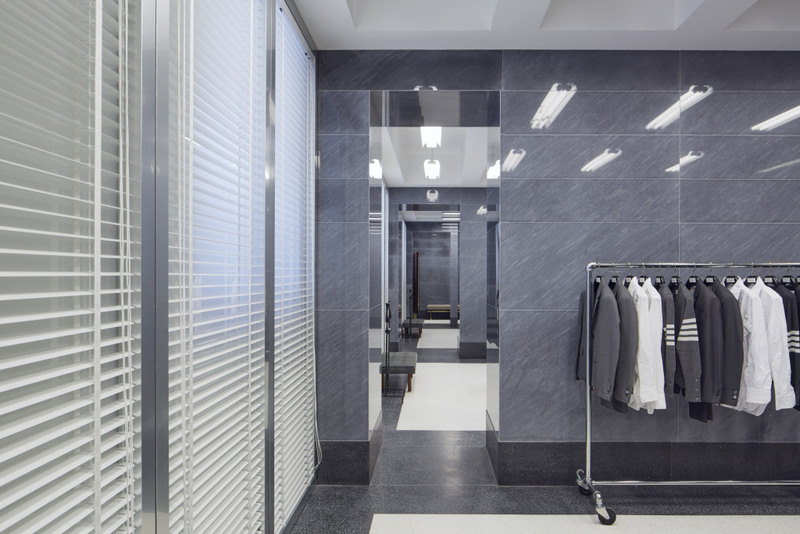 The Milan store is part of a new expansion strategy following Sandbridge Capital’s acquisition of a majority stake in Thom Browne last May from Japan’s Stripe International. Stripe retains a minority stake. Sandbridge’s other investments include stakes in Derek Lam, Tamara Mellon, Farfetch, Rossignol, Topshop and Karl Lagerfeld. Bazan said that in the first or second week of June, the company will open a shop in London, which will be located in Mayfair on Albemarle Street. These steps reflect the relevance of the European market, which accounts for 40 percent of sales. The company does not reveal its revenues. In particular, Italy has a special meaning for Browne, who produces “almost everything” in the country, except for cashmere in Scotland and shoes in Northampton, observed Bazan. Browne also designs the Moncler Gamme Bleu line, which shows in Milan. Moncler chairman and chief executive officer Remo Ruffini was in the store on Thursday morning to congratulate Browne. The designer shows his men’s collections in Paris and his women’s in New York, but he made his European debut in January 2009, presenting his fall collection at international men’s wear trade show Pitti Uomo in Florence as its featured guest designer. The brand is available at 30 multibrand stores in Italy. Bazan said the company is expanding, leveraging “three pillars: the product has substance; consistency and clarity of the message.” The executive explained that the group is “focusing on a direct-to-consumer formula,” boosting the reach and breadth of its online store, which is directly managed, and its communication. Omnichannel is key, he said. To that end, the company is further building its team and Bazan revealed the appointment of Tori Vinton as vice president of global public relations; Kelly Connor as director of brand relations, and Matthew Foley as director of brand content. Tomaso Galli, while retaining his own independent business, has been tapped as senior vice president of marketing and communications. 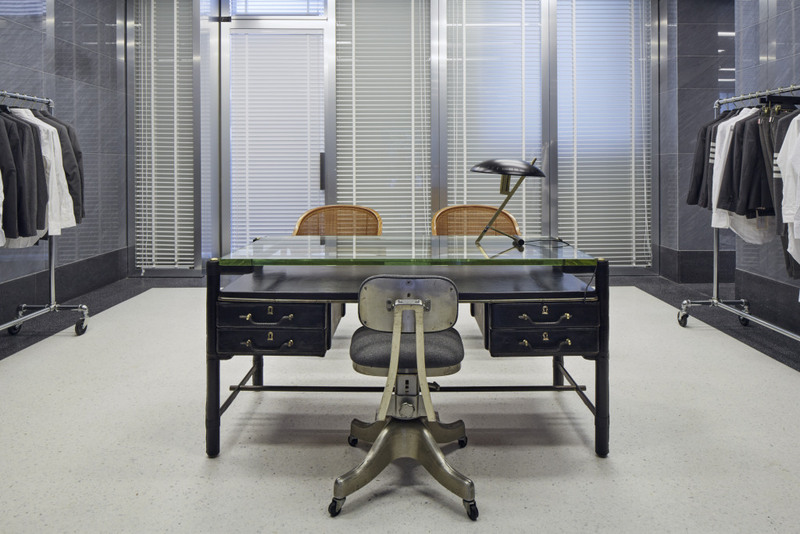 Bazan noted that the furniture is also for sale, if a customer is keen to purchase a piece. The brand is available at over 250 leading department store and specialty boutiques across 40 countries as well as online and through 19 directly operated flagships in New York, Tokyo, Hong Kong, Beijing and Seoul.